If you run a WordPress site you know how many contact forms there are out there to choose from. We bring you a short list of the seven best. We also look at how best to ensure your navigation bar works as well as it possibly can. Even after the release of PHP 7.3 at the end of last year, some developers are restricted to using older versions due to their servers. We take a look at several things you can start doing now to help with code migration when the time comes. Plus the Laracon EU 2018 videos have been released and are available to view on YouTube. And finally, the MageTalk podcast returns after the Christmas break, discussing Progressive Web Apps (PWA). Last year, May 2018, Symfony adopted a Code of Conduct (CoC). Émilie Lorenzo, Tobias Nyholm and I, Michelle Sanver, were entrusted with the task of CARE, CoC Active Response Ensurers. You can read more about Symfonys CARE Team. Quite early on we were all part of a Code of Conduct training by Otter Technology. This helped us understand and practise some typical scenarios between each other, which we all found very helpful going forward. In this blog post I will share some insights of our work in 2018. 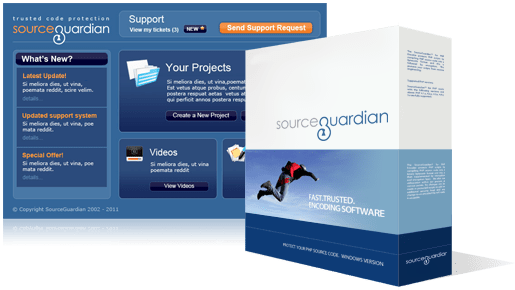 One of the main differences between an Open Source project and commercial software is that the latter, at least within reasonable boundaries, is guaranteed funding. When it comes to Open Source projects, there is a broad spectrum that ranges from projects that are being backed by a full-fledged, non-profit organisation such as the Mozilla Foundation, to projects that are merely comprised of a community of collaborating enthusiasts, with neither a formal body behind it, nor a reliable source of money. In previous post we migrated Jekyll to Statie. If you need to add a feature to the static website, like creating preview images for Instagram, you need PHP. Sculpin is the older brother of Statie but is mostly retired last 3 years. Do you want to get on track with modern PHP on your static website? Here is how. So now you are wondering how do I get into Laravel and build some pages and URLs. Well by the end of this article you will leave knowing what basic routing is and how to get it up and running in your project. In Expressive, we have standardised on a file named config/routes.php to contain all your route registrations. These files can get really long, and organising them becomes imperative. Not long ago, I was confused about doing math with money and floating point issues. After a bunch of research and help from friends I figured out what many already did before me: Using floating points is indeed bad. You can get rounding issues and really want to use ‘precise math’. After that, I realised I wanted to use the new Ecmascript bigint type as a basis for representing money. This is supported by recent versions of Node.js and Typescript, which is where I need it. Headless architectures offer many advantages to app construction. From the COPE (create once publish everywhere) strategy, to parallell development of the frontend and the backend of the app, but getting the infrastructure right can be a bit tricky. Let's take a look at how to Landoize your infrastructure and get the apps talking to each other. The navigation bar: a simple and seemingly obvious element of any web page, you'd think. But it's important to put thought into your navigation bar so that it works well for your users, eases navigation, and is accessible. In this article, I'll show you how to ensure that your navigation bar works as well as it possibly can and is an enhancement to your site rather than an add-on. In today’s competitive world, the success or failure of a business is greatly tied to the Customer Relationship Management (CRM) used. The key objective of a CRM is to integrate and automate sales, marketing, and customer support. This is where Twilio Programmable Voice comes in handy. With Twilio Programmable Voice calls, you can improve the customer experience by automatically making calls to customers for key business tasks such as confirming their orders and informing them of new products. In this Symfony 4 tutorial, we will create a basic server back-end structure for your application using the REST API architecture style. We will use a 'FOSRestBundle' bundle as a basis, implement 'get' and 'post' methods to create and show the list of resources respectively. Besides that, we will add the OAuth2 authentication with FOSOAuthServerBundle. 409 Conflict is used in cases where the HTTP request was valid, but the current state of the server prevents it from being executed. This is usefor for APIs. PHP 7.3 was released at the end of last year, but for many of us working with the latest version of PHP is not an option for a while. We are often restricted by the servers that we have to deploy to which can often be a version or two behind. This means that for many, the new features of PHP 7.3 will remain out of reach for some time. If this describes your situation then this post is for you. We’ll look at four things you can start doing now that will help make it easier to migrate your code to PHP 7.3 when the time finally does arrive. Hi Guys, I am sharing with you the way to create simple restful apis using php and mysql. We are creating 2 apis here. First is to login an existing user and second is to get a list of written blogs by a logged in user. JestPHP is 1-day, 1-track, affordable, community conference for PHP developers in Arizona and beyond. Join us for a day of learning and laughter, that you will not forget. Early Bird Tickets on sale until tomorrow. The Serbia PHP conference takes place next May. Super Early Bird Tickets are on sale now and the Call for Papers ends tomorrow. Come for the conference to learn all about the latest developments with Symfony, share best practices, experience, knowledge and make new contacts with the great Symfony community from Poland! All talks will be in Polish, except for the Keynotes, which will be in English. Early Bird Tickets are on sale now and the Call for Papers is open. Join the worldwide PHP community for the fourth ScotlandPHP conference later this year. There will be at least 14 talks presented across 2 tracks, along with 4 workshops, to help you enhance your current skills and find out what's next for PHP and beyond. Super Blind Bird Tickets are on sale now and the Call for Papers opens tomorrow. Making Faces: A Look at Facial Recognition, presented by Steve Crow. In this talk I will start by explaining the concept of the Singular Value Decomposition and its use in machine learning. I'll then demonstrate how it can aid in isolating facial features from images of people. Lastly, I'll show an example on how one might construct a facial recognition system using these techniques. Data Collection, Privacy and You, presented by Laura Thomson. Chances are if you're a developer you've had some late nights worrying about the General Data Protection Regulation (GDPR) this year, or perhaps you've had to deal with a data breach directly. In this talk I'll discuss how to collect and handle user data more safely and ethically. Attendees should leave with a better understanding of how to collect and process user data in a safer way. Matt Trask and Ben Edmunds are joined by Jason McCreary and Anthony Fox to discuss budgeting and personal finance for developers. This episode takes a high level view and focuses on how new developers can make good decisions and avoid common pitfalls that come along with that first “developer money” paycheck. We’ll be back for part 2 shortly. Ed and Chris started talking to each other again over a series of tubes, with the end result being another episode of the podcast. This time around we discussed some weirdness we had been noticing with our episode announcement mailing list, TIOBE and popularity contests, building things for our hobbies, and the never-ending street fight of complexity vs. churn. Adam and Jerod talk to Kyle Daigle, the Director of Ecosystem Engineering at GitHub. They talk about GitHub Actions, the new automation platform announced at GitHub Universe this past October 2018. "For most people the building of a PWA may be more frustrating than not building on PWA, at least in January 2019" the guys dive into how Merchants have such awareness of PWA and how they're seeking it out. Also, Kalen goes for a walk. Adam Culp (RunGeekRadio) shares why there are no PHP framework specific talks at SunshinePHP for 2019. Also calls for open source packages, frameworks and other software to announce any updates, news, or new versions at SunshinePHP 2019. This week Eric, Thomas and John discuss various topics including What Version of Horizon Am I On and The 10 Year Challenge. Jake and Michael discuss queueing jobs at scale with Laravel Horizon, web sockets implementations, and using exceptions to bail you out of handling false conditions. In this last episode of this series, we will get Raphael’s view on why he would choose Laravel over Symfony. We will also discuss React and Angular and why this has gained a lot of traction in the development world. This week, the upcoming Symfony 4.3 version added support for deprecating service aliases and introduced native PHP serialisation for the Messenger transport. Meanwhile, the Symfony diversity initiative published the 2018 transparency report and other updates about the governance process and a call for donations. Finally, the SymfonyLive Warszawa 2019 conference opened its registration (Warsaw, Poland, June 13-14). When I joined the Drupal Association over 4 years ago, I didn’t ‘do Drupal’ and I didn’t have the faintest idea of what ‘the community’ was. These were things I read about in the job description for DrupalCon Coordinator, but didn’t mean anything to me yet. Now, as I prepare to leave Drupal - the Association, the community, the Con, the project - I can actually ‘do Drupal’ (albeit it on a Drupal 7 site, tsk tsk I know) and have such respect and care for the people that I have been lucky to work with from the community. Here’s a list of must-attend ecommerce events and conferences that will either address the pain points of the industry or discuss the changes in ecommerce trends and the upcoming technologies. Additionally, others are application-related events including meetups and community gatherings of WooCommerce, Prestashop, Drupal and Magento in 2019. The past few days videos have been added to the Laracon EU channel on YouTube. It now contains recordings of all talks given at the 2018 edition of the conference. TYPEMILL is a small flat file cms created for editors and writers. It provides a author-friendly dashboard and a visual-block-editor for markdown based on vue.js. Enhances WordPress with Seravo.com specific features and integrations (also known as WP-palvelu.fi in Finland). Sample projects demonstrating use of Peachpie (www.peachpie.io) - the PHP compiler and runtime for .NET. You can use these samples to learn more about how the compiler works and to start experimenting with it. Chronicle is a self-hostable microservice, built with Slim Framework, which enables authorised users to commit arbitrary data to an immutable, append-only public ledger. The open source hassle-free room booking system for schools. An open-source Business to Business Commerce application built with flexibility in mind. OroCommerce can be customised and extended to fit any B2B commerce needs. A PHP library for color manipulation in themes and plugins. Census for PHP. Census provides a framework to measure a servers resource usage and collect performance stats. This repository contains PHP related utilities and supporting software needed by Census.